Dr. Bonnie Rosenberg brings to our practice significant experience in primary care and general internal medicine. Dr. Rosenberg is board-certified by the American Board of Internal Medicine and has been practicing medicine in the Bay Area for over 15 years. She is a graduate of the prestigious UCSF residency program in primary care internal medicine. She received her M.D. from the UCLA School of Medicine where she was elected to the Alpha Omega Alpha medical honors society. Dr. Rosenberg received her Bachelors Degree in Chemistry from Stanford University, and is an alumna of Castilleja School in Palo Alto. Following her residency, Dr. Rosenberg was a clinical faculty member at UCSF, teaching residents in the primary care program and caring for patients in a clinical practice group on campus. In 2002, Dr. Rosenberg moved to Palo Alto and established her own private practice where she has devoted her time exclusively to caring for patients in a specialized private setting. We are delighted that Dr. Rosenberg has joined Interactive Wellness. 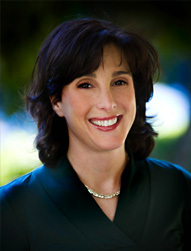 Dr. Rosenberg lives in Palo Alto with her husband and two children. She is the former President of the Silicon Valley chapter of American Medical Women’s Association, and is an active member of the El Camino Hospital and Stanford Unviersity Medical communities. FOR ALL MEDICAL NEEDS: (650) 325-5055. Messages may be left regarding any medical problem, issue, or need. MEDICAL ASSISTANT – Laura Lombardi: (650) 325-5055.